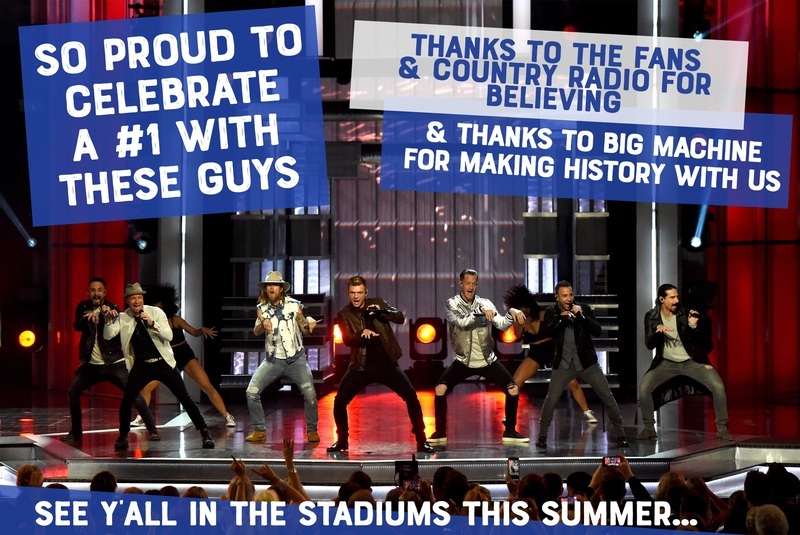 The Backstreet Boys have conquered new territory – the country charts. The band's single with country duo Florida Georgia Line has reached No. 1 on the Mediabase country charts. The collaboration also had the most additional spins this past week out of any song on country radio. While the song tops Mediabase’s country airplay charts, “God, Your Mama and Me” is sitting at No. 2, up from No. 5, on Billboard’s Country Airplay chart for the Week of July 1. On Billboard’s Hot County Songs chart, the song sits at No. 5, the spot it held last week, but with gains in spins. Mediabase monitors radio station airplay across the U.S. and Canada. Billboard charts can be ranked from sales, streams or airplay, or in some cases, a combination of all three.